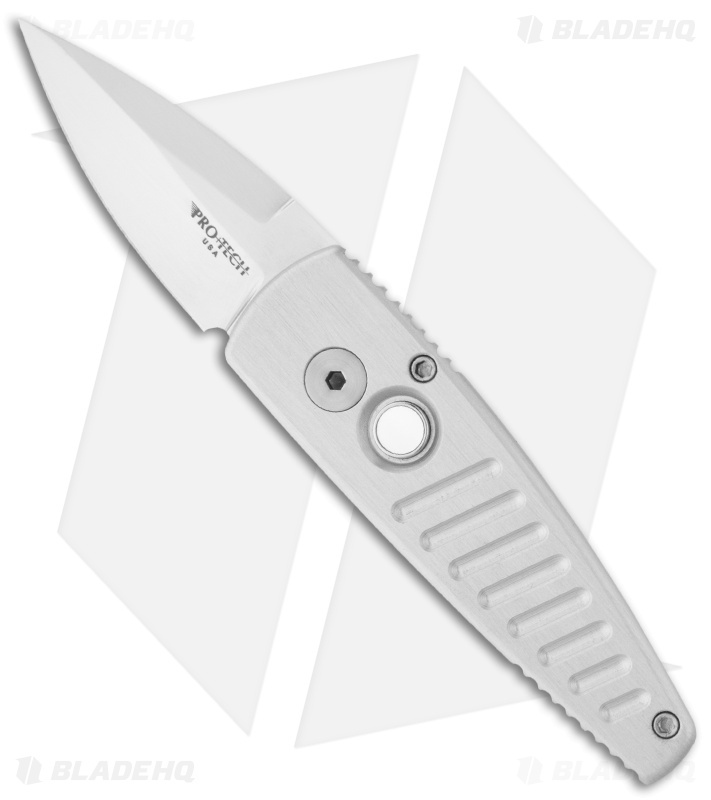 The Pro-Tech Stinger has a California legal 154-CM stainless steel blade. This one has a hollow ground edge and mirror polish. 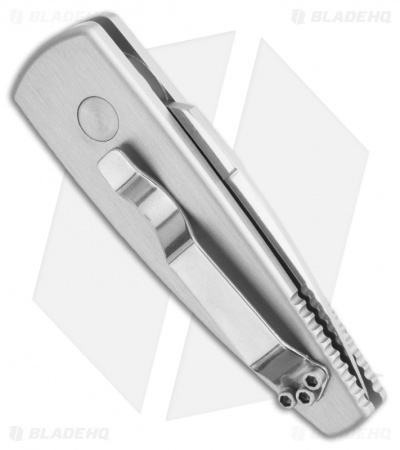 The handle is gray anodized 6061-T6 aluminum with thumb notching on top for an ideal grip and a steel pocket clip for convenient tip-up carry. The push button is dressed up with a pearl insert. 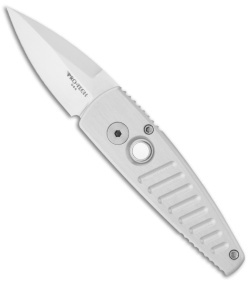 Don't let the small size of this knife fool you, it fires like a rocket and it's tough enough for any job.